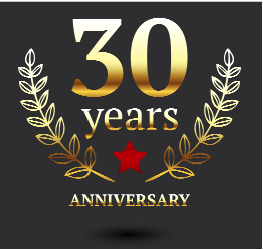 Carson Services, Inc., the parent company behind SFI Marketing Group and TripleClicks.com, is now in its 30th year of business. SFI's success and longevity is a DIRECT result of the affiliates' hard work, sweat, enthusiasm, and loyalty. It's one of the reasons why SFI is one of THE most respected and most successful affiliate programs in the world today. For me personally, I have developed some enduring relationships with people I met in 2001 when I first joined SFI. SFI is inexpensive, making it ideal for just about anyone. You can join for free, get trained for free, get marketing tools for free, and there are a number of different ways to make money in the program. Want to build a team? Great - there is an explosion of growth in network marketing overseas, and Strong Future International is available in 190 countries. Want to have your own e-commerce portal? Great - TripleClicks, the product arm of SFI, has almost 100,000 products offered by hundreds of small stores in 160 countries around the world. Want to become a master of buying low and selling high? Pricebenders penny auctions are a great source of products to resell at other auction sites or other e-commerce portals. Up and coming musician who wants to get their music heard? TripleClicks has a sort of "battle of the bands" contest each month that can get indie artists great exposure. There is also an executive pool, a $10 bounty for generating leads (even if you don't care to have your own team) and more. You can even earn something (ok, not much) by doing simple, free actions every day. But it is NOT a get rich quick scheme, and without a plan, you can be in the program for years and never make anything. If you don't mind following directions, resisting the impulse to reinvent the wheel just follow the plan, working hard and making a small investment in your future every month, SFI might be the program for you. They pay on time, every time, and have never missed a check since August, 2001. I doubt they have ever missed a check, period - but this is all I can personally vouch for. Most programs don't last as long as I have been making money with SFI. I want to take this opportunity to say "THANK YOU" to all the great affiliates who have been on my team at one time or another over the last 14 years. My home schooled kids are adults now, and both are also now making money in SFI.